Official notification for Kerala State Eligibility Test (SET-2017) has been released on the official website www.lbskerala.com. The exam is scheduled to be conducted on February 12, 2017 for appointment as higher secondary school teachers and non-vocational teachers in vocational higher secondary department. 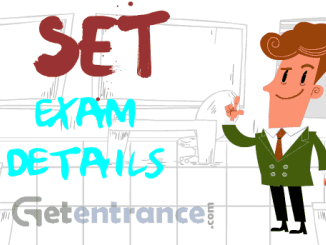 A pass in the State Eligibility Test (SET) is stipulated as a mandatory requirement for appointment as higher secondary school teachers in the state as per the special rules in force. Paper II shall be a test based on the subject of specialisation of the candidate at the post graduate (PG) level. The questions of both the papers shall be objective in nature and based on single response, ie., for each question four suggested responses (A, B, C, D) will be given. Aspirants wish to apply are required to register at the official website www.lbscentre.org or www.lbskerala.com.